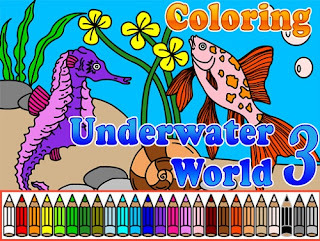 It is third game of coloring underwater world games.You try to color beautiful fishes and seahorse. First try out free mode then just pick up challenge mode. In challenge mode and get with 5 star rating. You must checkout hint to get more. You become a winner.